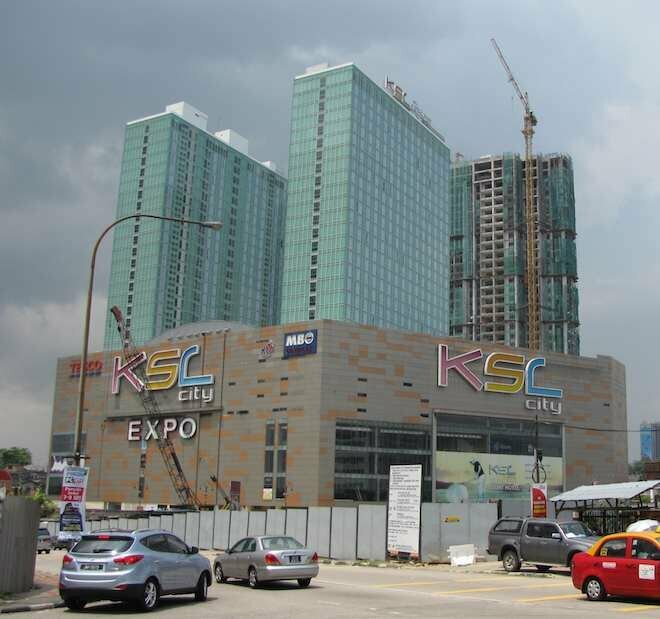 The D’esplanade Residence condos at KSL mall in downtown Johor Bahru should be ready soon (I would guess in late 2012 or early 2013). The official site has little no sales information but does have some floor plans. I believe the closest tower is the hotel, the tower on the left has offices and the back tower is the condos. I took the photo last month. The condos sit atop the KSL Mall and next to the KSL hotel. RM 879,000; 1,465 square feet; 11th floor; 3 bedrooms; 3 baths. RM 980,000; 1,700 square feet; 3 + 1 bedrooms; 2 bathrooms, swimming pool view. Price per square foot on units is close to RM 600. The hotel is already open. They seem to like calling it an “integrated resort” – as far as I can tell that just means it has a spa attached to it. I have seen rates from RM 200-300. The closet tower is the hotel, I think.